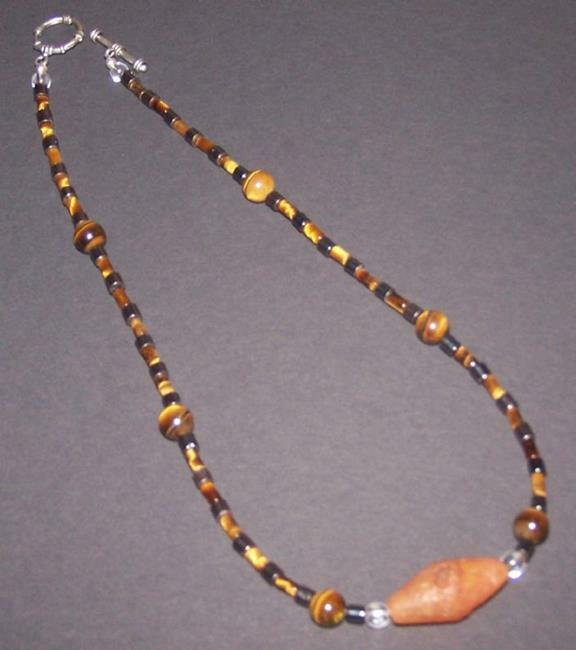 This 17-½ inch necklace shows off an ancient, hand carved carnelian bead. These beads were first traded in the height of the Roman Empire and beads like this appeared on the market regularly up through the 1800’s. This bead was purchased at an antique store and the providence shows it as being at least 100 years old. 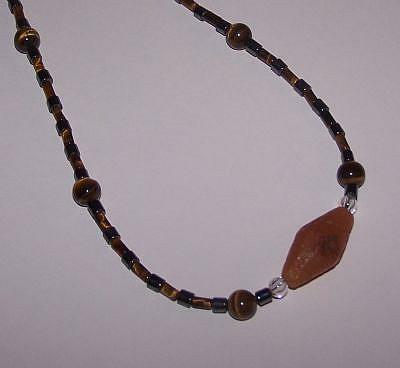 As these beads were hand carved using the same techniques for over 2000 years, there is no way to tell if this specific bead is 100, 200, or 2000 years old. 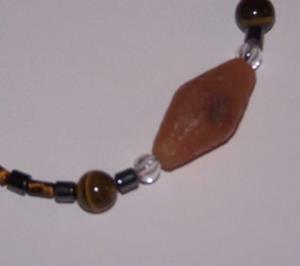 Using hematite, golden tigers eye, and clear quartz I have turned this ancient artifact into a modern piece of wearable art. Has a standard toggle clasp. Now you can purchase this custom made piece of artwork/jewelry directly from myself, the artist, via Paypal. Sales are not related to EBSQ Art or this website. Price includes shipping in the 48 continental U.S. states. Everywhere else, shipping is $10.00. Item will ship within one week.